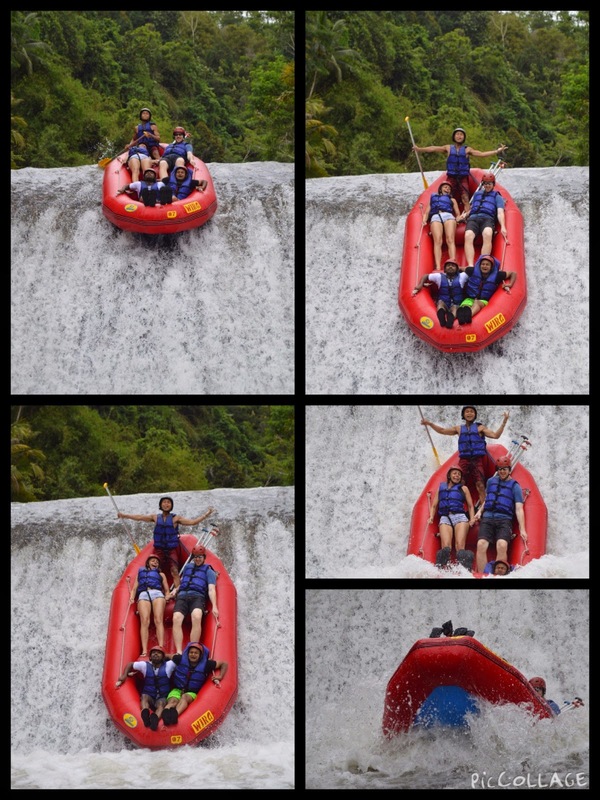 For me year 2014 ended with a rafting session at Telaga Waja river at Bali, Indonesia. 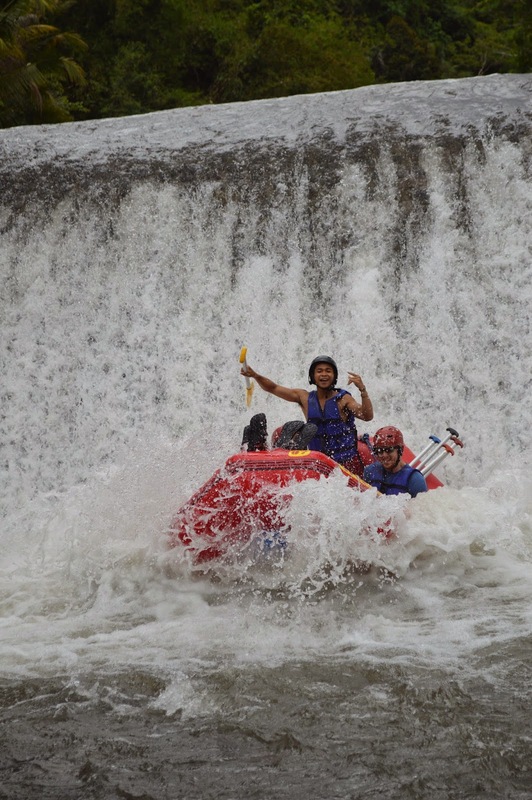 This was my third rafting experience besides barapole and kali rivers in India but definitely the longest and safest experience. We arrived at the rafting spot, with a welcome drink, we were given safety jacket, helmet and paddles. As usual stuff like ‘have you been to rafting’ , ‘I have been many times’ , ‘Do they take photographs’ , ‘Is it risky’, ‘Do i need to know swimming?’, ‘ Where to collect photographs’ , were discussed with new friends. The starting point had a small waterfall sort of. We rushed in water to get accustomed to and soon immersed. Prior to this i have done rafting twice in india. The places aroung Telaga waja river was so scenic, surrounded by mountainous forest, numerous waterfalls(waterfalls in Bangalore-Mangalore Train journey were more numerous), highly rocky, protruding cliffs, greenery within and surrounding river, and the number of rafts itself made a visual treat to eyes. 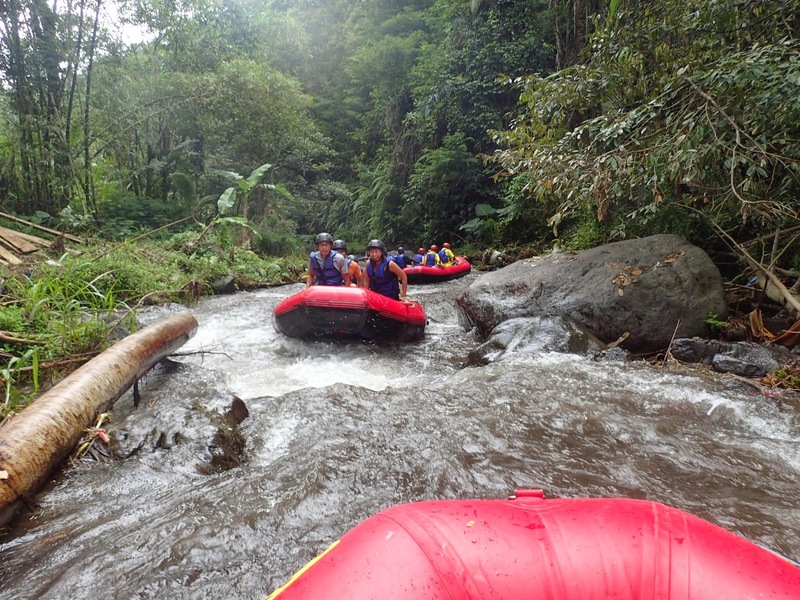 The single most important feature in rafting in Bali is the feeling of comfort and safe. With my prior experience i assure you ,It is very dangerous in India, but if you seek for thrill, definitely yes. 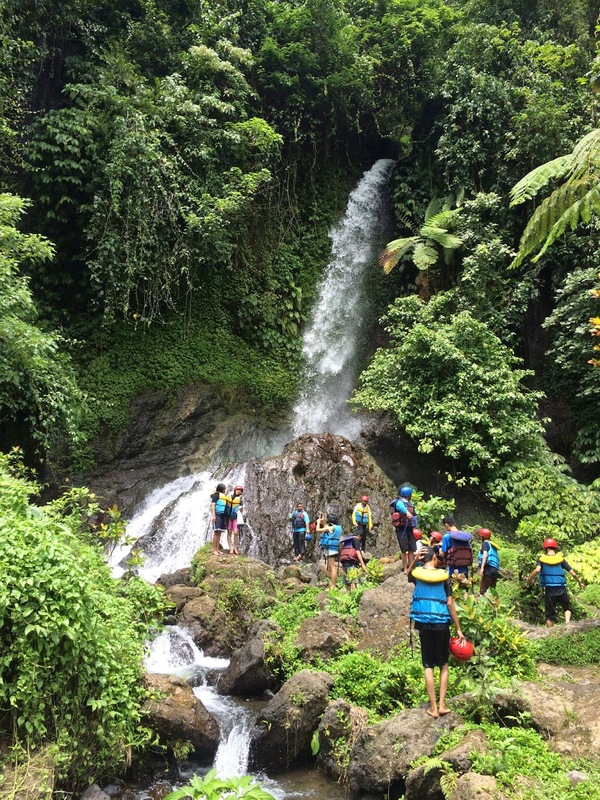 There was a different kind of thrill in bali rafting, the protruding cliffs, you have to bend often , inorder to not to get hit by the rocks sometimes projected towards the river from land, yet you will feel safe. 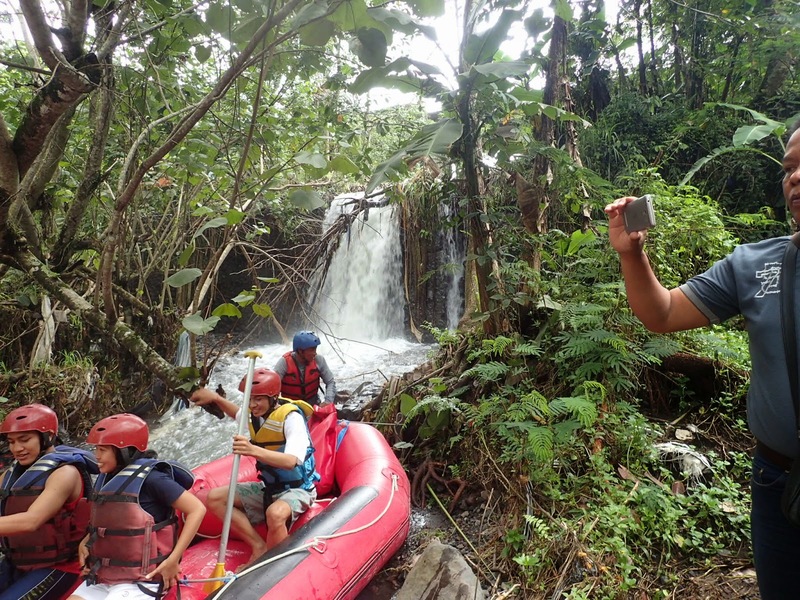 Bali rafting is for all people, family and children aged above ten. After an hour of rafting session, An optional break is provided to you. 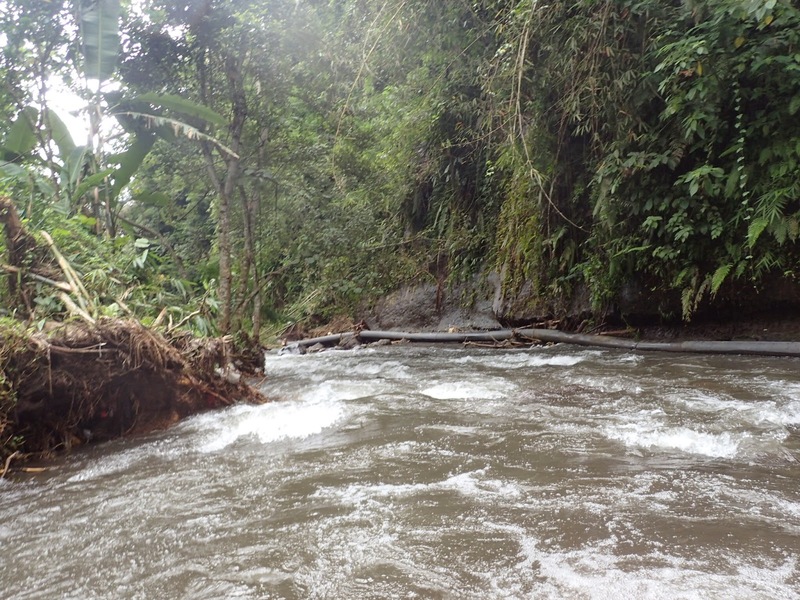 The raft is brought to rest near a scenic stunning breathtaking waterfalls. You can get down the raft and take some nice photographs here. Also they sell drinks. This was most special in bali rafting. They drop your raft from a height of four metres with you inside the raft. Prior to this they ask you to keep smiling for photographs. The rest you can see below. 8 USD for softcopy and 4 USD for one hard copy(210 x 297 mm) is charged for these photos. Because of the feeding received by your eyes, you will not feel hungry after the session. However lunch is provided at the end of the session after a climb in steps to the top of the cliff. Native food like Nasi Goreng(Fried rice) , Mie Goreng(Fried Noodles), water melon , Chicken , is available and delicious. 5. Bathroom, changing room – towel provided free of cost. Carry only change of clothes. Any more questions , feel free to contact me. And I am waiting for future encounters with river, now that I knew swimming as well. Am I really a Foodie?